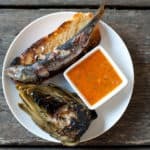 This easy red pepper vinaigrette goes with just about everything: chicken, fish, veggies, salads, you name it. You'll never need another dressing again. 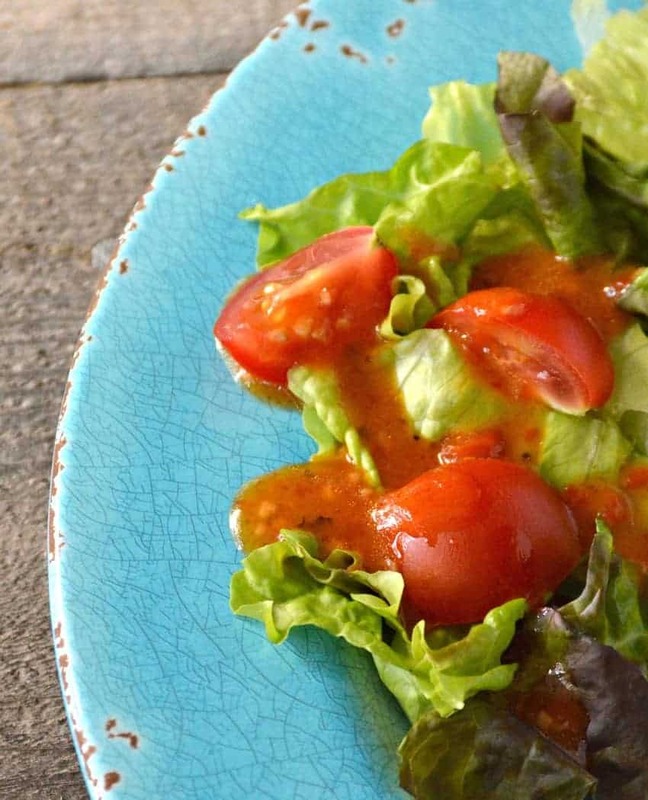 Roasted Red Pepper Vinaigrette is my super-versatile go-to dressing. I keep a jar of it in the fridge at all times. I pour it over salads of course – but it’s friendly with chicken, salmon, shrimp or steak and virtually every vegetable, roasted or fresh. A small container of it gets packed in my husband’s lunch with tuna salad over greens, and the kiddo uses it as dip for carrot sticks and pepper strips. Like I said, we have it in the fridge all the time. 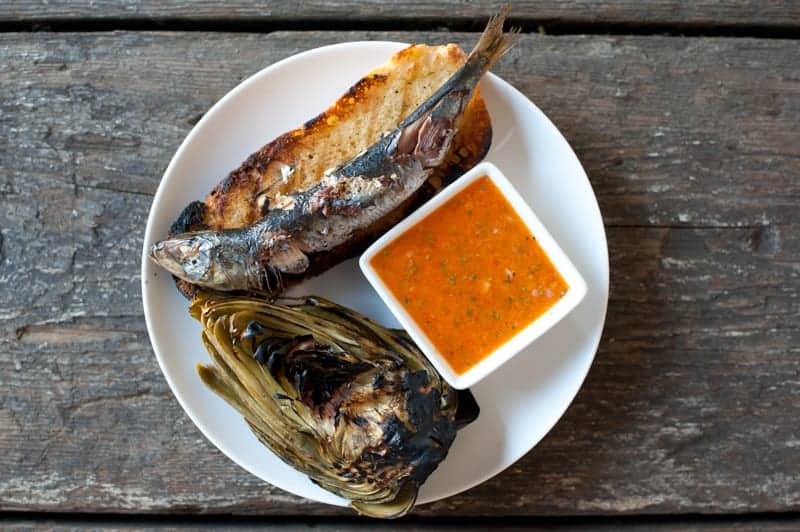 I’m positive that red pepper vinaigrette is the best partner for grilled artichokes. I know mayo is the go-to for most folks, but I think that’s just because they haven’t tried it my way. Try it before you fight me on it. This dressing is fabulous tossed with quinoa and roasted veggies, which is a lunch I pull together pretty often. You can roast your own red bell peppers or use the jarred kind, which is what I usually do. You’ll definitely want to use good olive oil too. Here’s my favorite direct-from-the-farmer EVOO, if you’re into that kind of thing. Kept in the refrigerator in a sealed container, this roasted red pepper vinaigrette will last for a week. Props to you if yours lasts that long, because ours never comes close. 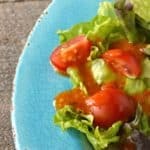 This entry was posted in Paleo Friendly, Quick & Easy, Recipes, Salads & Dressings and tagged dairy free, food allergies, g-free diet, G-Free Foodie, gluten free, gluten free cooking, gluten free diet, in season, kc cornwell, paleo, paleo friendly. Bookmark the permalink.